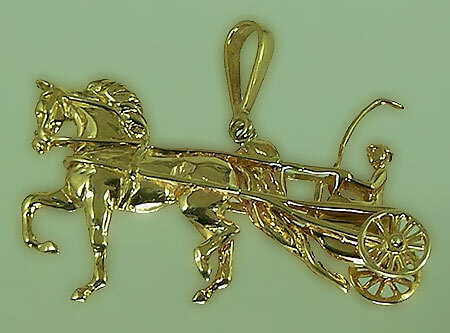 "Arabian Country Pleasure Driving Pendant"
This piece has great detail and is perfect for the driver in your life. Pictured and priced here in 14kt Yellow Gold. Dimensions of this piece are: 2 inches wide X 1 5/8 tall. This piece and others available in 14kt White Gold, and Sterling Silver.